Ever wonder why you crave sugar at the sight of your favorite candy wrapper? Do you experience sugar cravings even when you aren't hungry? If you've ever wondered why you crave sugar, the answer is simple: sugar is addictive. And sugar addiction is more common than you would think. Sugar addiction is one of the most common types of food addiction—all the more insidious because, often, we don't even know it is there. Many studies have shown that sugar is one of the most palatable and addictive foods and, with this knowledge, food manufacturers often use excessive amounts of it in foods we don’t even consider to be sweet. There are several ways in which sugar is addictive. 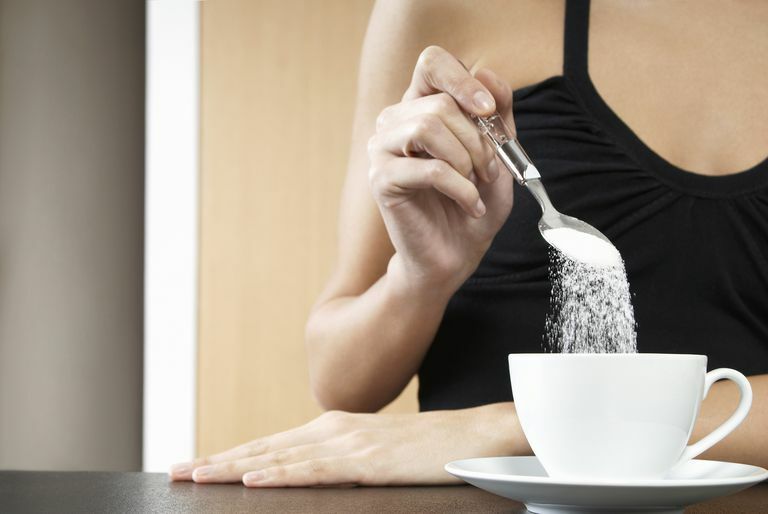 According to research collated by David A. Kessler, former Commissioner of the U.S. Food and Drug Administration, sugar shares several characteristics with addictive drugs. In addition to being highly palatable, sugar has a high "hedonic value," meaning you experience pleasure when you eat it. It is also reinforcing, meaning the more you do it, the more you want to do it. From a scientific point of view, palatable food not only tastes good but when we eat it, it makes us want to eat more of it. Sugar has been shown to have this effect experimentally, even with newborn babies and with animals. And it is obvious why—we need calories for survival, so we respond most readily to high-calorie foods. The hedonic value of sugary foods is the intensity of pleasure experienced by the person eating it. The point at which sweet beverages are most pleasurable has been identified at 10 percent. This is known as the “bliss point.” Food retailers keep their foods as close to the bliss point as possible to stimulate people's desire to re-experience the bliss point by eating that food again and again. After being exposed to the taste of sugar, people—and other animals—are willing to work harder to get more of it, regardless of whether or not they are hungry. Once something else has been associated with the taste of sugar, people will respond to that as well. Because sugar works as a reward, people respond positively with everything they associate with sugar—whether it is a particular food containing sugar, a particular restaurant, or a particular brand image. This is the reason that the second you recognize your favorite candy wrapper, you crave sugar. Candy, and especially chocolate, is heavily marketed, particularly to children and women. This is a problem because children’s early experiences often shape their later behavior. So, if they are eating a lot of sugar when they are young, they are more likely to want sugar when they are older. Over-consumption of sugar has been linked to many different health problems. And many children and adults become chocoholics, which also carries a risk of caffeine addiction as chocolate is a caffeine-containing food. Health risks aren’t the only concern related to the over-consumption of sugar. One research study has even demonstrated a correlation between childhood daily candy consumption and later violence in adulthood. Moreover, the overuse of sugar has played a major role in the epidemic of obesity in North America—not only through the direct overconsumption of sweet foods like candy but also through the addition of sugar to make many savory foods more palatable. This makes people more likely to overeat such foods and increases the number of calories they consume. Kessler, D. The End of Overeating: Taking Control of the Insatiable American Appetite. New York: Rodale. 2009. Moore, S., Carter, L. and van Goozen, S. “Confectionery consumption in childhood and adult violence.” The British Journal of Psychiatry 195:366–367. 2009.